Open the Barracuda Spamfilter. Click Domains, Domain Manager, then enter the domain name to be added. Click Add Domain. Under the newly created domain, click Manage Domain. 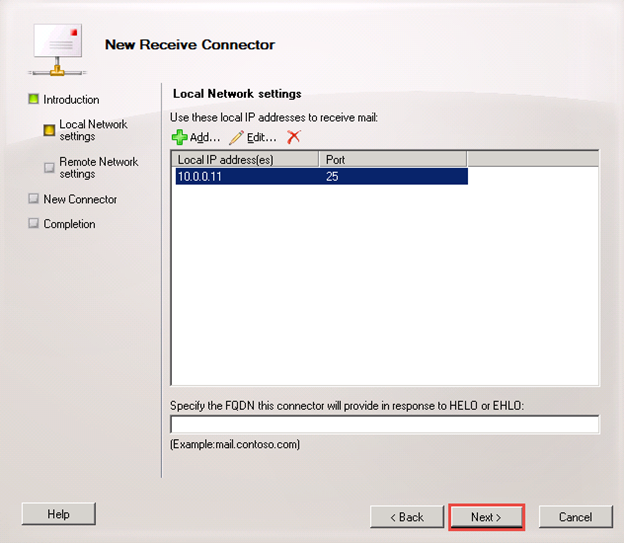 Enter the information as shown and click Test SMTP Connection. The test should be successful if the Exchange Server allows Relay. 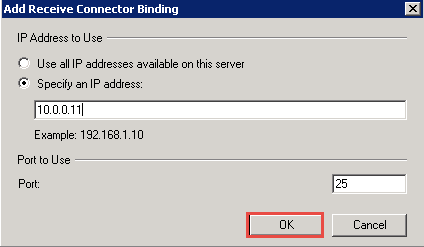 On the other hand, if the Exchange Server is not configured to relay messages, you need to configure it as follows. The way we resolve this issue is to create a new Receive Connector. In EMC, under Server Configuration, click Hub Transport. 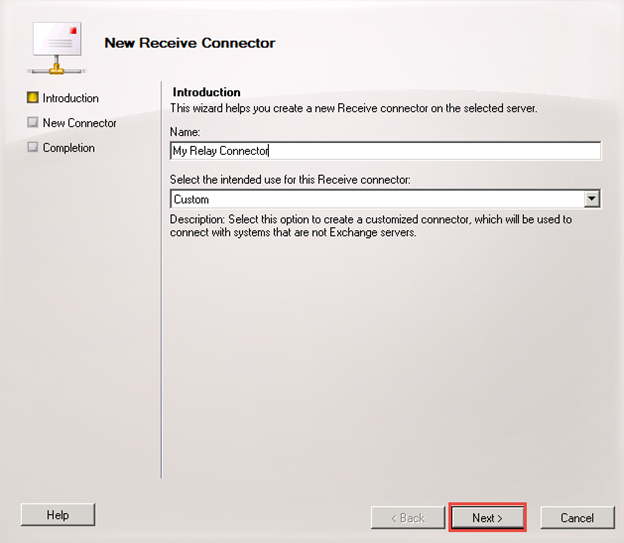 Highlight the Exchange Server, then under the Receive Connector, create a new Receive Connector. Local Network Settings: Remove the (All Available IPv4). 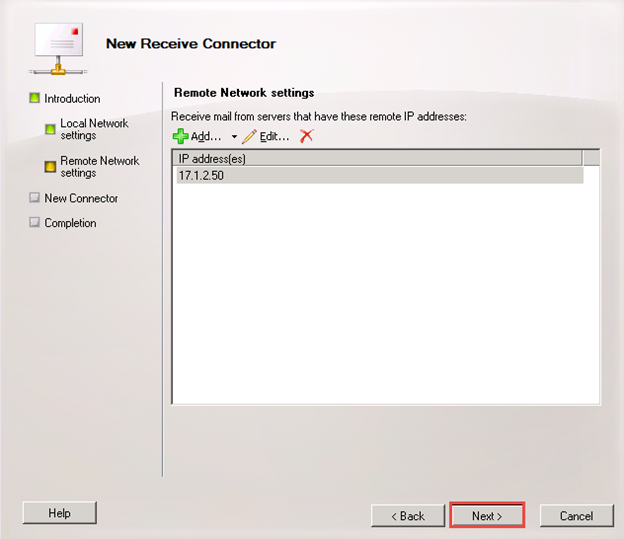 Add the private IP address of the Exchange Server, which is 10.0.0.11. Set the port as 25. Click OK.
Leave the FQDN field empty. Click Next. 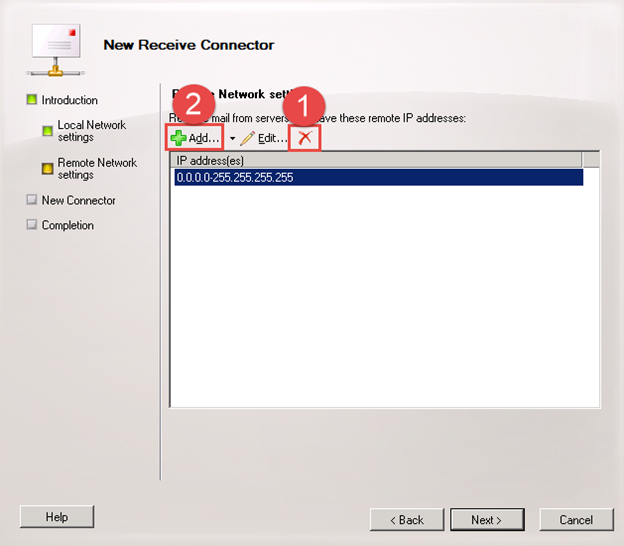 Remote Network Settings: Remove the default subnet. 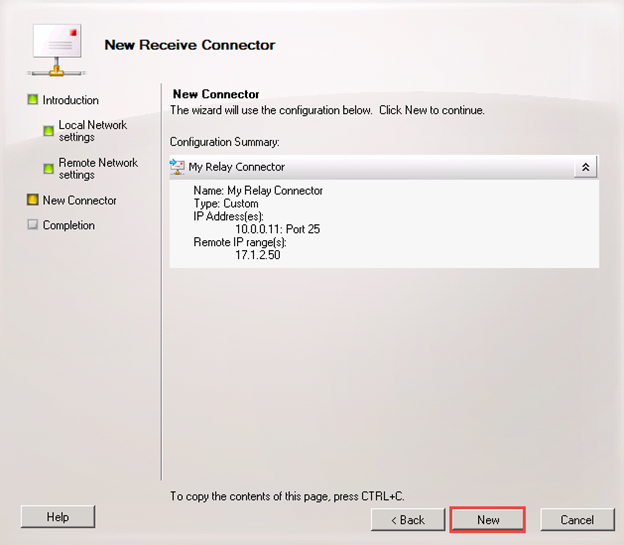 Add the IP address (or subnet) of the remote computer that is allowed to relay. Enter the IP address of the Barracuda Spamfilter. In my case, it is 17.1.2.50. 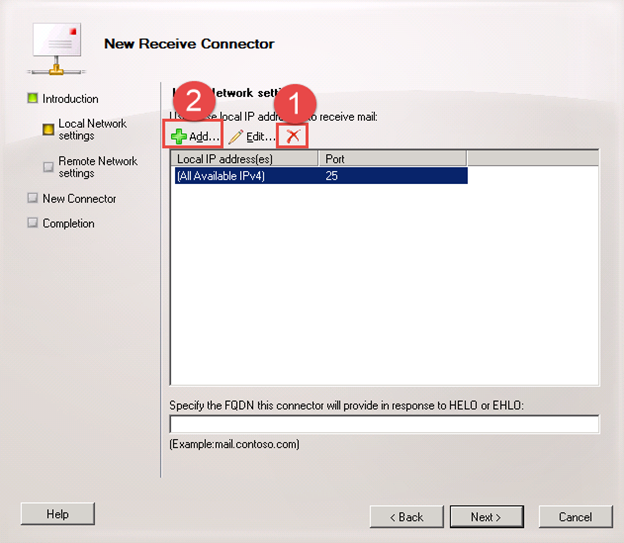 Click OK.
After done creating the Receive Connector, right-click on it and choose Properties. Click Permission Group tab and select Anonymous users and Exchange Servers. Click Apply. 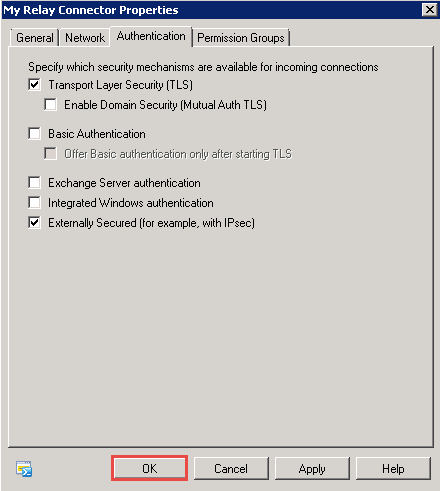 Under the Authentication tab, choose “Transport Layer Security (TLS) and Externally Secured (for example, with IPSec). Click OK.
Now email messages can be relayed from the Barracuda to the Exchange Server successfully.